I get the error. Does any one else got this error? Assembly Load Trace: The following information can be helpful to determine why the assembly 'System.Web.Http, Version=4.0.0.0, Culture=neutral, PublicKeyToken=31bf3856ad364e35' could not be loaded. === Pre-bind state information === LOG: DisplayName = System.Web.Http, Version=4.0.0.0, Culture=neutral, PublicKeyToken=31bf3856ad364e35 (Fully-specified) LOG: Appbase = file:///D:/SM/7.4Test/WebAPIServerV2/ThirdPartyWebAPI/ LOG: Initial PrivatePath = D:\SM\7.4Test\WebAPIServerV2\ThirdPartyWebAPI\bin Calling assembly : ThirdPartyWebAPI, Version=1.0.0.0, Culture=neutral, PublicKeyToken=null. === LOG: This bind starts in default load context. LOG: Using application configuration file: D:\SM\7.4Test\WebAPIServerV2\ThirdPartyWebAPI\web.config LOG: Using host configuration file: C:\Users\michalc\Documents\IISExpress\config\aspnet.config LOG: Using machine configuration file from C:\Windows\Microsoft.NET\Framework\v4.0.30319\config\machine.config. LOG: Post-policy reference: System.Web.Http, Version=4.0.0.0, Culture=neutral, PublicKeyToken=31bf3856ad364e35 LOG: Attempting download of new URL file:///C:/Windows/Microsoft.NET/Framework/v4.0.30319/Temporary ASP.NET Files/root/9184b2ea/c6d4b139/System.Web.Http.DLL. LOG: Attempting download of new URL file:///C:/Windows/Microsoft.NET/Framework/v4.0.30319/Temporary ASP.NET Files/root/9184b2ea/c6d4b139/System.Web.Http/System.Web.Http.DLL. LOG: Attempting download of new URL file:///D:/SM/7.4Test/WebAPIServerV2/ThirdPartyWebAPI/bin/System.Web.Http.DLL. WRN: Comparing the assembly name resulted in the mismatch: Major Version ERR: Failed to complete setup of assembly (hr = 0x80131040). Probing terminated. Most likely you have to do this for a few more assemblies like webhosting, etc. When I installed Web Api 2.2 help this error started. I added this to the web.config and it solved my problem. In the bin folder, there should be a (WebAppName).dll.config file. 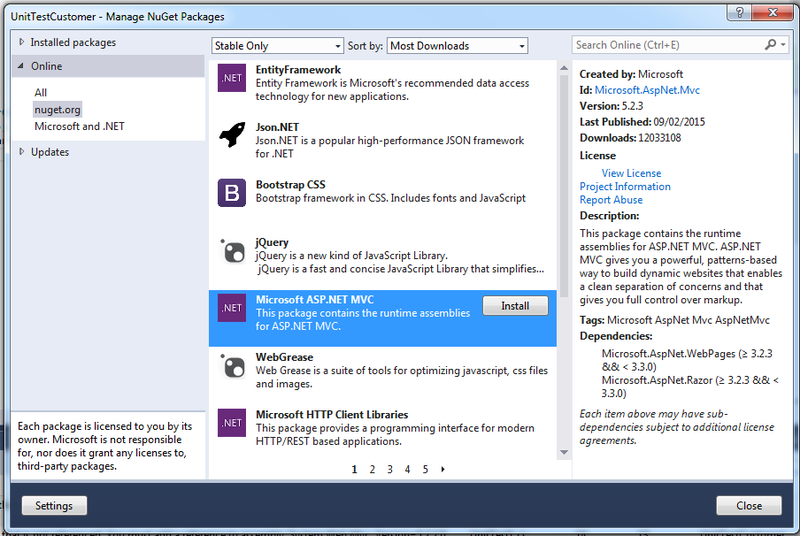 Installing NuGet package ASP.NET.MVC solved the issue for me. - Select "Manage NuGet Packages"
- select "Microsoft ASP.NET MVC"
If you have already installed package earlier, please update the package by selecting Updates from left menu and then selecting "Microsoft ASP.NET" and click Update. I decided to go with MVC4 app. but then, some hotfix error found, To resolve it, go to VIEW folder of your MVC4 project, find second web.config file and changed version from 2.0.0.0 to 3.0.0.0 as shown below. Me did not nothing, just copied development Bin folder DLLs to online deployed Bin folder and it worked fine for me. 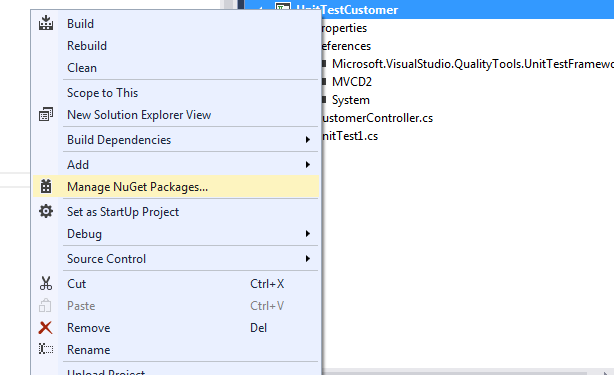 As others have said just reinstall the MVC package to your web project using nuget, but be sure to add the MVC package to any projects depending on the web project, such as unit tests. If you build each included project individually, you will see witch ones require the update. I solved this problem by reverting the changes that nuget had made to my web.config after running nuget. Revert the changes to a previous working version. I had this from a WCF service. For me (as the issue was displaying in local dev), I simply had to delete the contents of the bin folder under the solution. The the rebuild work fine once again. I could solve similar problem with System.Net.HTTP by adding assembly reference in app.config of main application. I got this issue when deploying to Azure using the Publish feature. Remember to clear files at destination. This solved my issue, in case people have to hunt around for this like I did. Everything was the same version in my project/solution, just not at the destination I was deploying to. In c# is there a method to find the max of 3 numbers?